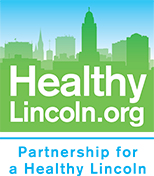 Partnership for a Healthy Lincoln collaborates with non-profits across the city to improve the wellness of our community. Throughout the year, we feature the work our partners do to impact the health and fitness of our city. Each month we spotlight the current highlights and happenings of featured partners at the links below.